Don’t Be Afraid of the Dark is yet another horror movie involving a broken family moving into a creepy, old house plagued by creatures. What is it about this setup that is so popular that it has to be used so often? 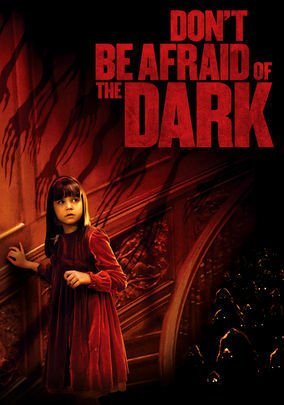 Official Synopsis: A young girl inadvertently unleashes a race of ancient monsters while exploring her father’s 19th century mansion. Introverted Sally Hurst (Bailee Madison) has just moved in with her father, Alex (Guy Pearce), and his girlfriend, Kim (Katie Holmes), when she realizes that their sprawling estate holds its fair share of secrets. Descending into the depths of the house, Sally gains access to a secret lower level that has lain undisturbed for nearly a century, when the original builder vanished without a trace. When Sally accidentally opens the gateway that kept the creatures locked up tight, she realizes that in order to prevent them from destroying her family she must convince her skeptical father that monsters really exist. Sadly I really have nothing good to say about this movie other than the visuals were great. Although with the limited amount of lighting in the house it was impossible to see most of what was really going on. The premise is nothing new, the creatures are somewhat comical, the character development is minimal, and the concern you have for any of the people involved is minimal at best. Movies that rely upon the stupidity, ignorance or outright denial of others as a way to build tension by leaving the main character stranded in their own hell are played out. While many of us are looking for just a simple fright, we do want to feel that the main character has some agency in their own story. The little girl, Sally, has no agency in this movie. This combined with a series of “what the hell? !” moments caused me to be kicked out of the movie experience and coast to the credits. This was definitely very weak for a Guillermo del Torro movie that he did the screenplay and produced. I know it is a movie and a popular theme in many mediums – but parents/adults who refuse to listen to children infuriate me. I’m not even talking about the fact that they don’t believe what the kid is telling them. I am talking about parents flat out refusing to listen to their children. As a parent I have done this numerous times, but when my child is crying, screaming, hysterical, sad or depressed – you bet I’d be listening. If the adults in books/movies/music were more realistic – I think your story would be more compelling for its realness. When you’re asking your audience to believe something imaginary, don’t make them go out on a ledge to believe your unrealistic character behavior is normal. Why does a 6 year old take a bath alone in a dark house? Why isn’t the governess around/nearby when a kid bathing? As a parent of 2 kids I have a hard time feeling comfortable letting my kid put themselves in a bath and not be within earshot of what is going on. Horror stories often need a sage or wizard-type character to impart knowledge to the characters (and oftentimes for the viewer more than the characters). The librarian in this movie knew enough esoteric information as to be useful in any Lovecraft-style story. The scene rushed through the only real description of what was going on and was incredibly difficult to understand. I had to look it up online to understand. If you rush through your plot exposition – your story is probably pretty weak or laughable. In this instance it was laughable. Evil tooth fairy creatures? Really? Japanese spirits are scary because their motivations are usually unknown – which lends them some scare factor. Using distorted European-esque evil creatures that crave teeth for some misunderstood reason is laughable. I know it is legal (of sorts) to have shrinks share information from sessions with children with their parents – but it just happens way to often and seems ethically bothersome. The movie makes extensive use of a Polaroid camera. The Polaroid film took too long to develop and who carries those around anymore? Polaroid film stopped being sold in 2009 and would be very expensive to use now. It also never seems to run out of film and can keep shooting over and over. People being stupid just makes your movie stupid…and sadly, this is too many movies! If this wasn’t enough to discourage you from seeing this movie, not sure what else I can do. If you are interested in checking out some other great horror & suspense flics – check out my Horror and Suspense Films Worth Watching This Season!